Here at the corner of Jungle and Madness, The Drouin Disaster nears conclusion. 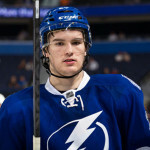 Any moment now, we expect a trade that will allow the indefinitely suspended Jonathan Drouin, former prized Lightning draft pick, to pack his skates, sticks and teething ring and go elsewhere. Or maybe it won’t be any moment now. Drouin’s latest hijinks — making himself a healthy scratch for Wednesday’s game for the Syracuse Crunch — should give suitors pause. He’s the kid who quit. 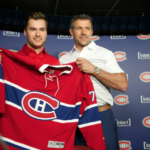 Once Jo Drouin was can’t miss, the third pick of the 2013 NHL draft, a prized piece. Now he’s pucks’ bad boy. 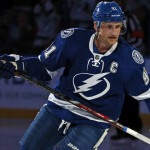 Once we could picture Drouin-the-playmaker feeding Steven Stamkos for years. Now they both might be out of here. I’d put Drouin down as a definite. Frankly, this seems like an awful fuss over someone with six NHL goals. Drouin’s sit-down strike was a bad choice. It makes him look like a spoiled brat, a crybaby. He’s either not thinking or he’s getting bad advice from his agent, Allan Walsh, whom I believe might be very distantly related to the agent who told his client, Abe Lincoln, to skip the speech and take in a play.